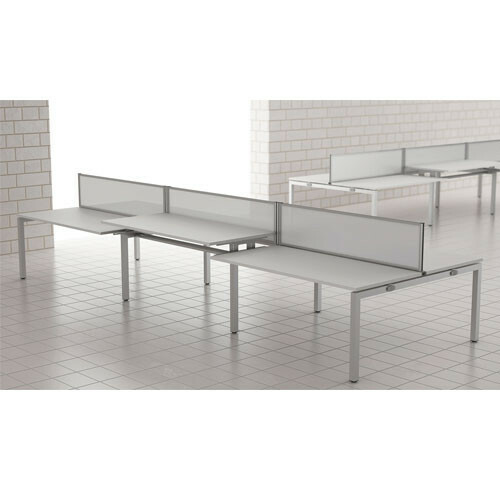 Available in a range of top shapes and finishes, Bench² height adjustable desks are manufactured with fully welded frames for extra strength and stability and are adjustable from 727mm to 927mm. 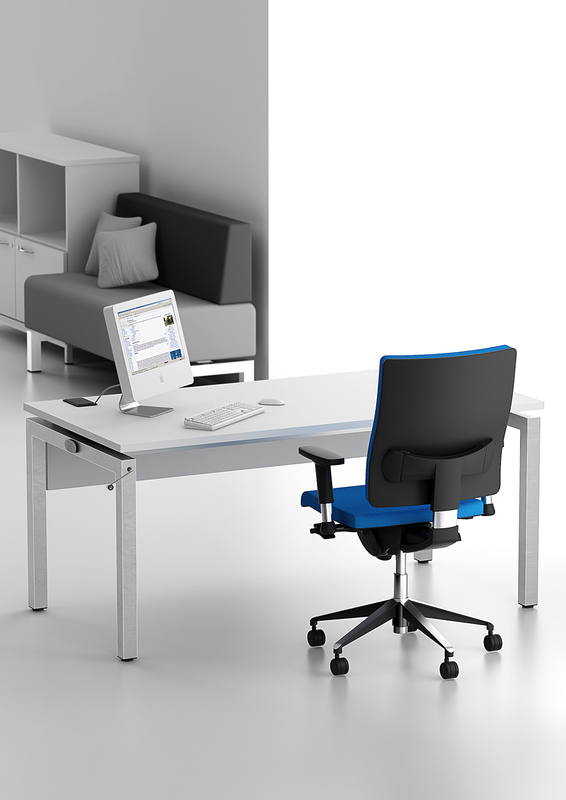 The removable hand crank can be fitted to the right or left hand side of the desk and ensures that the desk stays at the set height. 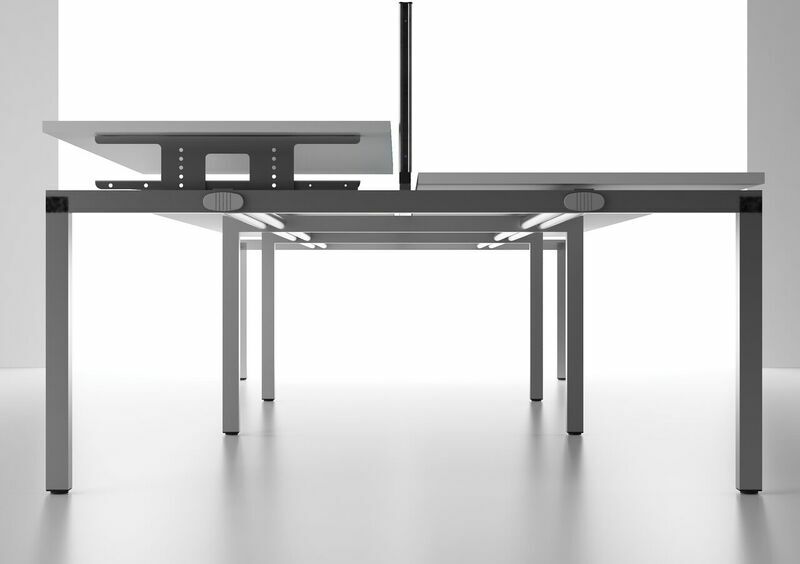 The desk's top is 25mm thick with high impact resistant ABS edging to match the MFC finish of your choice. 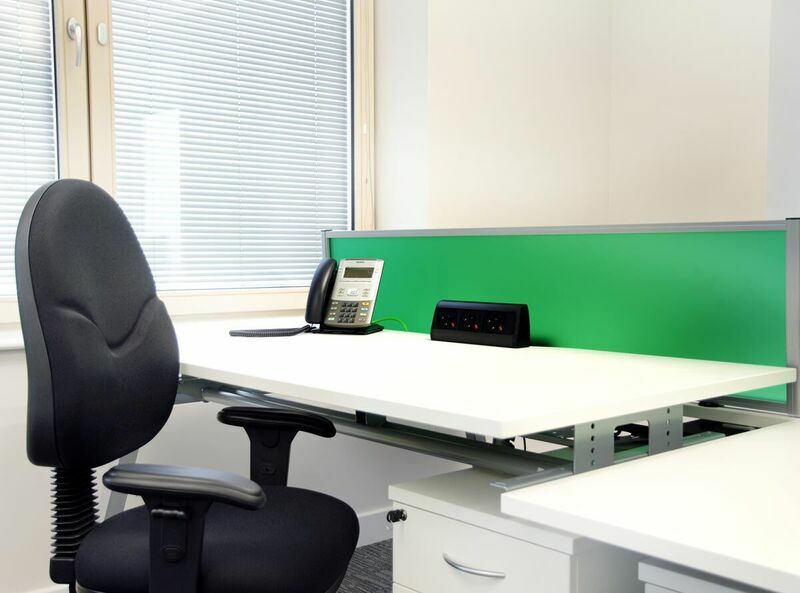 All metalwork is Epoxy Powder Coated, providing a durable and protective finish. 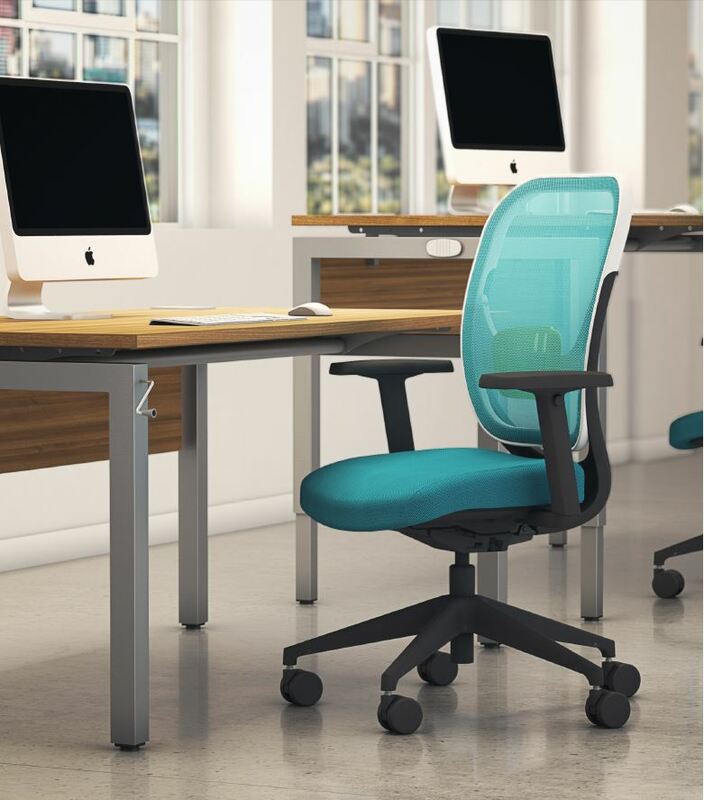 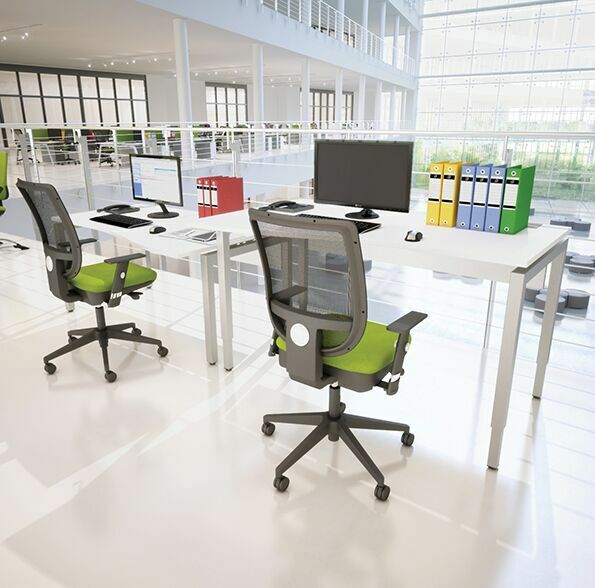 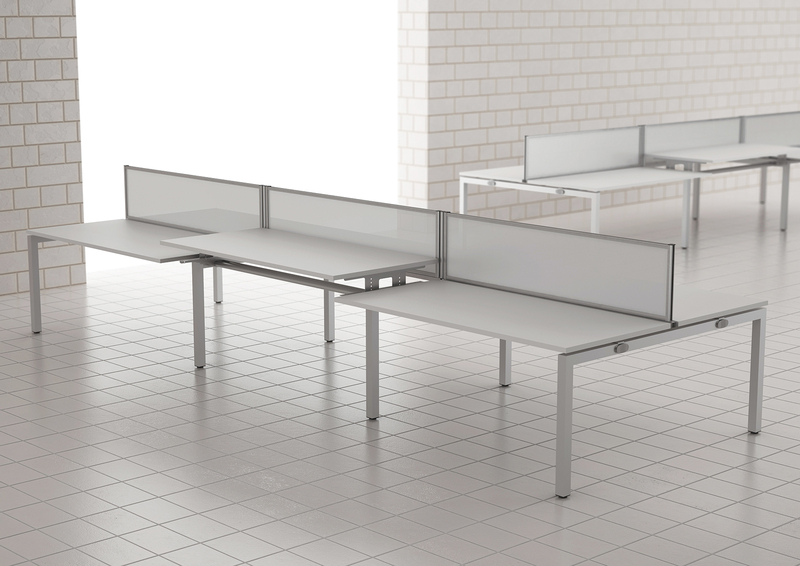 100% recyclable, the desks come with 3 part bench style cable ports, optional steel cable trays and flexible plastic cable spines. 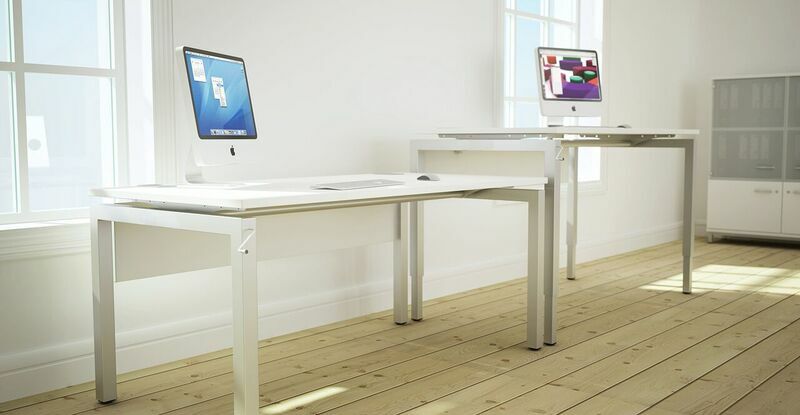 A range of through desk monitor arms can also be used meaning desk space is kept clear and tidy.